Whatever spiritual sufficiency believers have is not because of any power they possess in themselves (cf. Matt. 19:26; Rom. 9:20–21; Eph. 1:19; Phil. 3:7–11; 1 Tim. 1:12–16; Titus 3:5) but derives from His divine power. Paul expressed it this way: “Now to Him who is able to do far more abundantly beyond all that we ask or think, according to the power that works within us” (Eph. 3:20). The power that operates in believers is of the same divine nature as that which resurrected Christ (cf. Rom. 1:4; 1 Cor. 6:14; 15:16–17; 2 Cor. 13:4; Col. 2:12). That power enables saints to do works that please and glorify God (cf. 1 Cor. 3:6–8; Eph. 3:7) and accomplish spiritual things they cannot even imagine (see again Eph. 3:20). His refers back to the Lord Jesus. If the personal pronoun modified God, Peter probably would not have used the descriptive word divine since deity is inherent in God’s name. His use of divine pointing to the Son underscores that Jesus is truly God (cf. John 10:30; 12:45; Phil. 2:6; Col. 1:16; 2:9; Heb. 1:3) and also refutes any lingering doubt some readers may have had concerning that reality (cf. 1 John 5:20). Peter himself had been an eyewitness to Christ’s divine power (1:16; cf. Mark 5:30; Luke 4:14; 5:17). God’s supply of spiritual power for believers never fails. They may distance themselves from the divine source through sin, or fail to minister and use what is available, but from the moment they experienced faith in Jesus Christ, God has granted His power to them. Has granted (dedōrēmenēs) is a perfect, passive participle meaning that in the past, with continuing results in the present, God permanently bestowed His power on believers. Because of their constant sins and failures as Christians, many find it hard not to think that even after salvation something is missing in the sanctification process. This faulty idea causes believers to seek “second blessings,” “spirit baptisms,” tongues, mystical experiences, special psychological insights, private revelations, “self crucifixion,” the “deeper life,” heightened emotions, demon bindings, and combinations of various ones of all those in an attempt to attain what is supposedly missing from their spiritual resources. All manner of ignorance and Scripture twisting accompanies those foolish pursuits, which at their corrupt roots are failures to understand exactly what Peter says here. Christians have received everything in the form of divine power necessary to equip them for sanctification—they have no lack at all. In view of that reality, the Lord holds all believers responsible to obey all the commands of Scripture. Christians cannot claim that their sins and failures are the result of God’s limited provision. There is no temptation and no assault of Satan and demons that is beyond their resources to overcome (1 Cor. 10:13; 12:13; 1 Peter 5:10). To stress the extent of the divine power given each believer, Peter makes the amazing statement that saints have received from God everything pertaining to life and godliness. Syntactically, the term everything is in the emphatic position because the Holy Spirit through Peter is stressing the extent of believers’ self-sufficiency. The great power that gave Christians spiritual life will sustain that life in all its fullness. Without asking for more, they already have every spiritual resource needed to persevere in holy living. Life and godliness define the realm of sanctification, the living of the Christian life on earth to the glory of God—between initial salvation and final glorification. With the gift of new life in Christ (John 3:15–16; 5:24; 6:47; Titus 3:7; 1 John 2:25) came everything related to sustaining that life, all the way to glorification. That is why believers are eternally secure (John 6:35–40; 10:28–29; 2 Cor. 5:1; 1 John 5:13; Jude 1, 24–25) and can be assured God will empower them to persevere to the end (Matt. 24:13; John 8:31; Heb. 3:6, 14; Rev. 2:10), through all temptations, sins, failures, vicissitudes, struggles, and trials of life. The word translated godliness (eusebeia) encompasses both true reverence in worship and its companion—active obedience. Saints should never question God’s sufficiency, because His grace that is so powerful to save is equally powerful to sustain them and empower them to righteous conduct (Rom. 8:29–30; Phil. 1:6). The general call is a call which comes through the proclamation of the gospel: it is a call which urges sinners to accept salvation. “On the last day, the great day, of the feast, Jesus stood and cried aloud, ‘If anyone is thirsty, let him come to me and drink’ ” (Jn 7:37, Williams; cf. Mt 11:28; Is 45:22; etc.). This message (kerygma), which is to be authoritatively proclaimed—not optionally debated—contains three essential elements: (1) It is a story of historical occurrences—an historical proclamation: Christ died, was buried, and rose (1 Co 15:3–4). (2) It is an authoritative interpretation of these events—a theological evaluation. Christ died for our sins. (3) It is an offer of salvation to whosoever will—an ethical summons. Repent! Believe! The general call is to be freely and universally offered. “Jesus came up … and said, ‘Full authority in heaven and on earth has been given to me. Go then and make disciples of all the nations’ ” (Mt 28:18–19, Williams). Perhaps the classic passage on the effectual call is found in Romans 8:30: “Whom he did predestinate, them he also called” (kjv). Other pertinent references include: Romans 1:6–7; 1 Corinthians 1:9, 26; 2 Peter 1:10. As in all appearances of this call in the epistles, Peter’s use of called here clearly refers to the effectual and irresistible call to salvation. God effects His saving call through the revealed majesty of His own Son. Sinners are drawn by the glory and excellence of Jesus Christ. In Scripture glory always belongs to God alone (cf. Ex. 15:11; Deut. 28:58; Pss. 8:1; 19:1; 57:5; 93:1; 104:1; 138:5; 145:5; Isa. 6:3; 42:8, 12; 48:11; 59:19; Heb. 1:3; Rev. 21:11, 23). Thus when sinners see the glory of Christ they are witnessing His deity (cf. Luke 9:27–36; John 1:3–5, 14). Unless through the preaching of the gospel (Rom. 10:14–17) they realize who Christ is (the glorious Son of God who is Savior; cf. 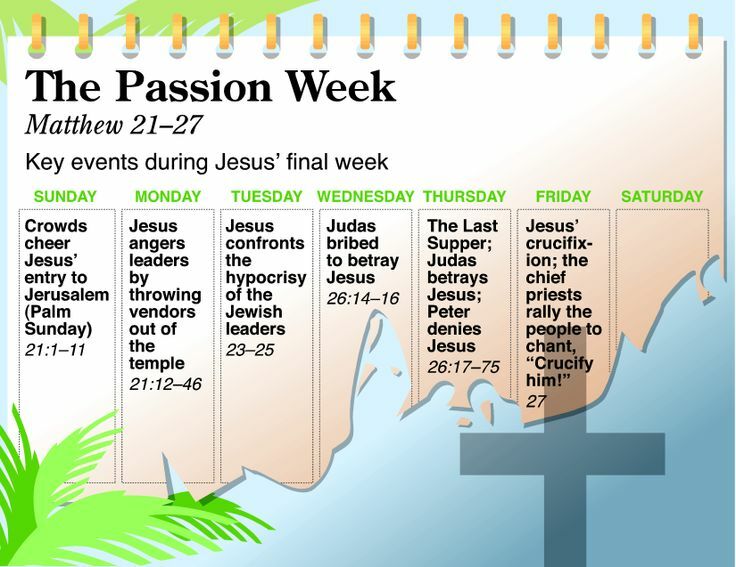 John 20:30–31; 2 Peter 1:16–18), and understand their need for repentance, so as to come to Him in faith, pleading for salvation, sinners cannot escape hell and enter heaven. So, when God draws sinners to Himself, they see not only Christ’s glory as God, but also His excellence as man. That refers to His morally virtuous life and His perfect humanity (cf. Matt. 20:28; Luke 2:52; 22:27; 2 Cor. 8:9; Phil. 2:7; Heb. 2:17; 4:15; 7:26; 1 Peter 2:21–23; 1 John 3:3). All salvation blessings, power, and provision come only to those who see and believe the words and acts of the sinless God/Man (cf. John 14:7–10; Acts 2:22; 1 Cor. 15:47; 1 John 1:1–2; 5:20). 1:3. The same one who calls us, that is, who invites us by grace to be a part of his kingdom, also enables us to change or to grow spiritually. Life and godliness together are best understood as referring to a godly life. This is the destination toward which the transformation will take a follower of Christ. A godly life includes two primary ideas. First, it describes an attitude of reverence in the presence of one who is majestic and divine. Secondly, a godly life describes actions of obedience. At the heart of godly living and spiritual transformation is an attitude of reverence toward God and actions of obedience. The source of strength that enables the believer to move in this direction is His divine power. These words describe the work of God’s Holy Spirit in the life of the believer. He provides the believer with gifts and the ability to use those gifts. God’s design is that through the power of the Holy Spirit, the believer is assisted in living a godly life. This process is assisted through our knowledge of him who called us. As in verse 2, this refers to the believer’s personal knowledge of Jesus Christ and to a growing relationship with him. The more we come to know Jesus Christ in a personal way, the more we begin to understand who he really is and what he has done for us. As we grow in this kind of understanding, we begin to appreciate his divine power that assists us in growing spiritually. 3. His divine power has given us everything we need for life and godliness through our knowledge of him who called us by his own glory and goodness. Some translations, including the New International Version, omit the first Greek word in this verse. The versions that translate this word have the reading according as (KJV), seeing that (NASB), as (NKJV), or for (MLB). These translators use it as a bridge between the salutation (v. 2) and this verse. “His divine power has given us everything we need.” To whom is Peter referring when he writes, “his divine power”? Commentators have different opinions. Some say that this is a reference to God, but that the pronouns him (“knowledge of him”) and his (“his own glory”) relate to Christ. Others say that Peter is thinking of Christ; first, because Jesus is mentioned in the preceding text, and second, because the entire epistle is an exposition of Jesus’ deity (e.g., see v. 1). Perhaps we can say that in this verse Peter fails to present a clear distinction between God and Jesus and, therefore, that we ought to refrain from being dogmatic. The words divine power describe “the godhead and everything that belongs to it.” They are an example of the Hebrew fondness for using a circumlocution to avoid mentioning the name of God. Because of his divine power, God has given us everything we need. This is an amazing statement! In fact, in this introductory verse of the epistle we encounter a wonderful cheerfulness.20 Peter exclaims that he and the readers are the recipients of untold blessings; the word everything sums up this idea. “For life and godliness.” Observe that God has granted and continues to grant us “everything for life and godliness.” He wants us to live in harmony with his Word by honoring, loving, and serving him. Eternal life is not an ideal that becomes reality when we depart from this earthly scene. On the contrary, we possess eternal life through our daily exercise of living for God and our fellow man. By obeying God’s will in our lives we practice godliness and experience the possession of eternal life. “Through our knowledge of him who called us.” Peter tells the readers of his epistle that God grants them everything they need to enjoy life in his service. He indicates that God grants his gifts liberally “through our knowledge of him.” Once again Peter speaks of knowledge (see v. 2) and informs us that God makes his gifts available to us when we come to know him. Knowledge is a basic concept in Peter’s epistle. The question is whether the phrase knowledge of him applies to God or to Christ. If we understand the pronoun to refer to Christ, then we have to conclude that the word us refers to the apostles. But the pronoun us in the first part of verse 3 is all-inclusive, for Peter speaks of himself and the readers. Should we interpret the pronoun to apply only to the apostles and not to the readers, we would negate the statements on equality within the church, which Peter teaches by implication in the first two verses of this epistle. We expect, however, that Peter is consistent in the use of this pronoun. Accordingly, we understand the word him to point to God and not to Christ. John Calvin observes that Peter “makes God the author of this knowledge, because we never go to him except when called.” God has called us, through Christ, to salvation (compare Rom. 8:28, 30; 1 Peter 1:15; 2:9; 5:10). And last, in the broader context of this chapter, Peter once more mentions the calling of the readers; he writes, “Therefore, my brothers, be all the more eager to make your calling and election sure” (v. 10). “By his own glory and goodness.” The act of calling us is a demonstration of God’s own glory and goodness. These two characteristics are highly personal; the adjective own modifies both terms. Moreover, the two terms, although in a sense synonymous, differ. We are able to observe glory with our eyes (compare John 1:14), and we become aware of goodness (praise) with our minds and hearts. Conclusively, God reveals his essential being through visible glory and he displays his goodness in his deeds. MacArthur, J. F., Jr. (2005). 2 Peter and Jude (pp. 26–30). Chicago: Moody Publishers. Walls, D., & Anders, M. (1999). I & II Peter, I, II & III John, Jude (Vol. 11, pp. 108–109). Nashville, TN: Broadman & Holman Publishers. Kistemaker, S. J., & Hendriksen, W. (1953–2001). Exposition of the Epistles of Peter and the Epistle of Jude (Vol. 16, pp. 245–247). Grand Rapids: Baker Book House. This entry was posted in Daily Devotional Guide, Verse of the day on June 30, 2017 by Truth2Freedom.